Cannes has a lot going for it in this particular week in May. In addition to the everyday glitz and glamour of the French Riviera, May also brings the Cannes Film Festival. And coincidentally, the Cannes Film Festival is where Grace Kelly first met Prince Rainier in 1955. The 2014 opening film could therefore not be a more fitting one: Grace de Monaco, a new film by French director Olivier Dahan, is set to open the 67th edition of the glittering event. The new character study of the stunning actress-turned-princess starring Nicole Kidman in the title role focuses on Hollywood star Grace Kelly’s crisis of identity (and perhaps marriage), which took place against the backdrop of a political dispute between her husband, Monaco’s Prince Rainier III, and former president of France, Charles de Gaulle, in the early 1960s. Naturally, this film is as much about glamorous style as her restrictive marriage (the fact remains that Rainier III did ban her films from being shown in Monaco). Grace Kelly was an iconic fashion figure of her time, and immediate associations include the Hermès Kelly bag and creations by her favorite jeweler, Cartier. Thus, it should come as no surprise that Cartier figures prominently into this 30-million-dollar feature film, both behind the scenes and in front of the camera. 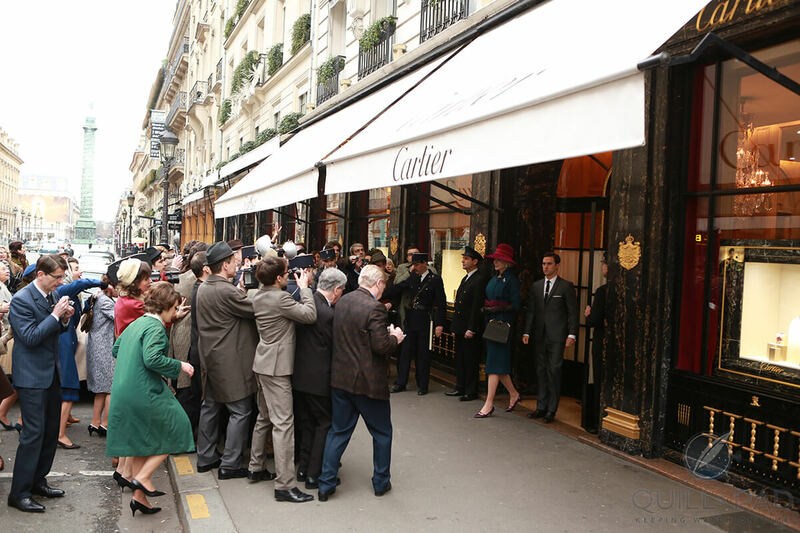 The Cartier boutique at 13 rue de la Paix in Paris is the stage of the film’s most critical scene; it is here that she denounces her Hollywood career to take on her ultimate role as royal princess of Monaco. By all accounts, Princess Grace was a devoted client of Cartier, frequenting both the Paris and Monaco boutiques. Five of her most famous pieces were recreated by Cartier for use in the film with the consent of the Monegasque royal family − though it has been reported that the family is unhappy with the film and has distanced itself from it, stating it does not accurately reflect the historical facts. * A ruby-and-diamond tiara created in 1955 that can transform into a necklace. This was a wedding gift to her. * A necklace from 1953 with three strands of diamonds. This was also a wedding gift to her. * A 1957 brooch depicting a hen. * A brooch from 1958 depicting a poodle. In an indication of the popularity of animal pins in that era, my grandmother had a similar brooch that now rests in my own jewelry box – though unfortunately, not from Cartier and not set with real gems. * The 10.47-carat, emerald-cut diamond engagement ring that Rainier III gave Grace in late 1955, only three days after meeting her family in the United States at their second encounter. It can be openly seen on her finger in her last Hollywood film, High Society. Cartier watches and accessories are naturally also worn by the film’s male leads: Prince Rainier III, played by Tim Roth, and Aristotle Onassis as depicted by Robert Lindsay. Unfortunately, we will not know which models they wear until the film opens. At least there is still one mystery surrounding the life of the mythical Grace Kelly.